I have a high respect and admiration for woodworking, and tough I have the tools (chisels, saws, planners, etc), rarely find myself working with wood. 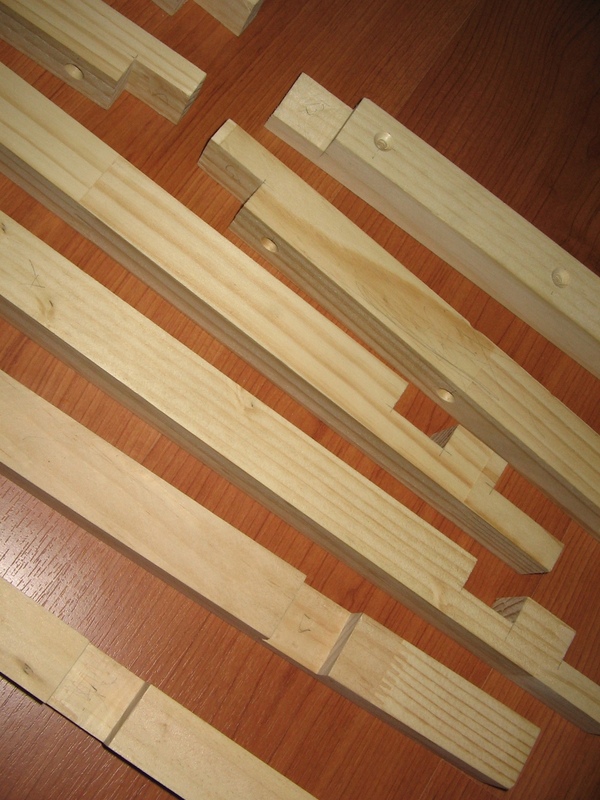 More commonly I build particle board furniture, and tough it’s not easy, I wouln’t call it woodworking. This is a toys shelves project for my son. I could made the sides of particle board, but I wanted something special and liked the idea of a painted wood frame. Tough this is a simple half-lap joint structure, It required a lot of work and tools (as always, much more than I expected… this isn’t a weekend project). 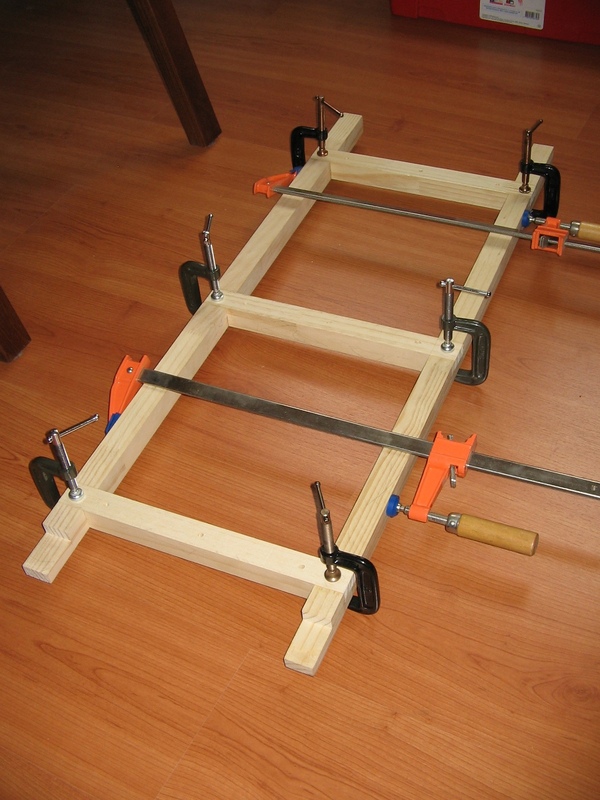 One thing that makes it harder it’s the fact wood bars aren’t exactly the same width. 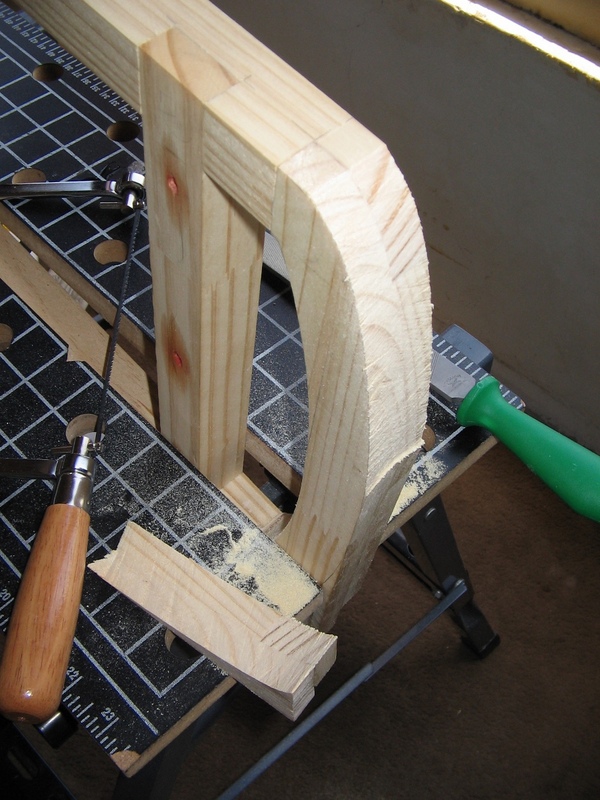 Also I almost never can cut perfectly square; always had to use the chisel and/or file to correct the cut. 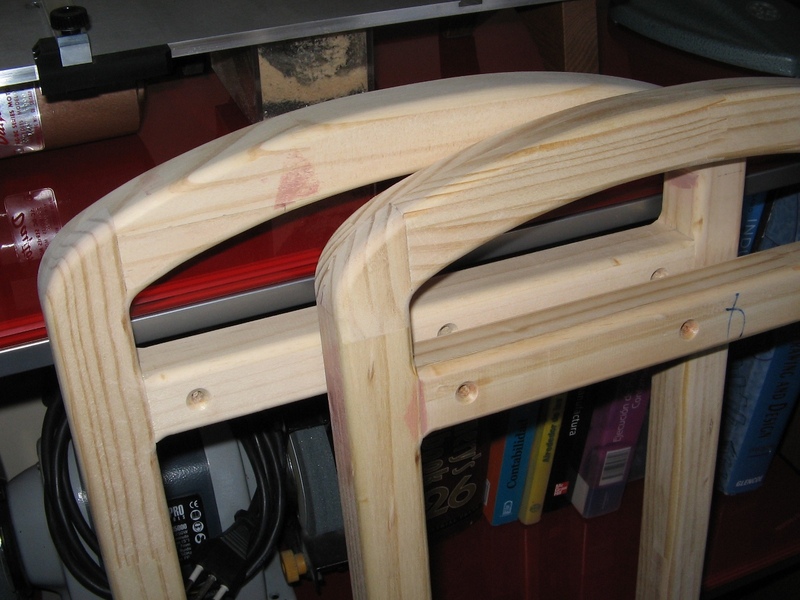 I did all with manual tools except rounding the edges; for that I did use a router. Also I did the all holes with my small microlux drill press. Not bad. It’s nice to see how practical considerations and a little of devotion cand lead to a beautiful design, without pretending doing something beautiful in the first place (I sometimes envy designers capabilities to create cool designs). May be it’s has to do with the way nature works. Woodworking has many personal as well as emotional benefits! You are going really great! Appreciable work! I totally agree that practical considerations and a little of devotion can lead to a beautiful design.